Andalusia is a beautiful autonomous region in the south of Spain and hides within its borderlines real treasures that are well worth a visit during our vacations. 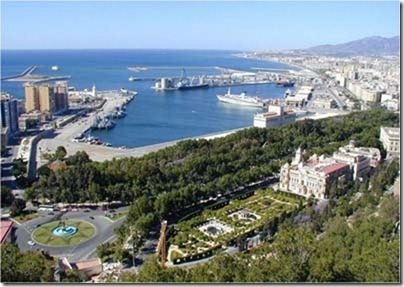 The hotels in Malaga will provide us with, not only great prices to save a bit of money regarding accommodation, but with all the necessary infrastructures and services so that our stay here is as comfortable as possible. In these lands the Celts, Iberians and Romans settled, although the most notable trace was undoubtedly left by the Arabs. Their legacy is present in the stony streets with a scent of jasmine. Strolling along the White Villages is travelling in time through routes with fortresses, crossing a unique natural environment: the parks of Grazalema and the Alcornocales. In the provinces of Cadiz and Malaga, hidden between the mountains, are the picturesque White Villages. Its name is due to the custom of its neighbours to whitewash the houses and its location, to the need of protecting themselves against the enemies of yesteryear. This way they have remained immune over the years. Malaga, Seville and Granada are, in this order, the Andalusian provinces that most interest awake amongst the travellers for their holidays, including in Malaga some of the most popular destinations like Marbella or Nerja. Between the three of them, they add up a total of 62% of the trips to Andalusia this season. The ‘Consejeria de Turismo‘ (Regional Tourism Ministry) are wrapping up the shows that will take place in the next World Travel Market (WTM) in London, one of the most important touristic fairs in the world, where Andalucia will be attending next November with the aim of maintaining upward trend of british tourism.